SHIPPING VEHICLES TO THAILAND BY SEA freight FCL (full container levels ). We can assist all foreigners who wish to bring vehicles to Thailand or those for temprary importing. 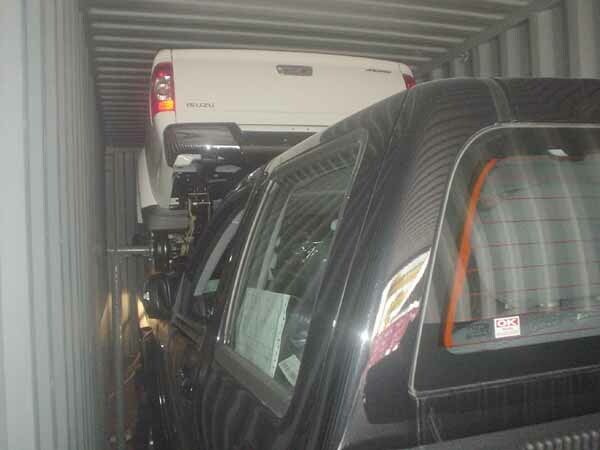 We export and ship all Pickups and specialize in LHD Toyotas now. Importing a car into Thailand, whether new or used, for personal use or for sale, you must pay taxes and duties and thes duties can be excessive up to 300% so be warned. You bring the car in at your own risk and the car tarrif is based on what the Thai Customs think not what you may think.
. Used vehicles are restricted goods and generally not allowed for importation into Thailand, except for temporary imports as mentioned above or imports under the conditions specified by the Ministry of Commerce. Importer MUST obtain an "Import Permit" from the Ministry of Commerce BEFORE HE IMPORTS THE VEHICLE. Each scheme has its own specific requirements. It is important that the importer should find out whether he can meet those requirements before committing. For foreigners ontourist visas etc you cannot import a vehicle. Nonresidents & FOREIGNERS: Only those who are Nonresidents with non-immigrant visas issued by the Immigration Department and work permits issued by the Ministry of Labor to work in Thailand for at least one year at the time of importation are allowed to import motor vehicles to Thailand. If you are on a tourist visa or retirement visa you cannot import a car. Returning Thai residents working/studying/living abroad: The permanent import of personal vehicles under this condition is allowed only when the vehicle is accompanied the owner on the change of residence and the importer have owned, possessed, and used the imported vehicles together with the valid driving license for at least one and a half year while staying abroad. Returning Thai residents marrying foreigners: It is required that the importer have owned, possessed, and used the imported vehicle while staying abroad for at least one and a half year, from the date of transferring of ownership to the date of arriving in Thailand. In addition, a Marriage Certificate and relevant evidence indicating the change of residence to Thailand must also be shown to Customs. Other relevant documents (if any). The importer/agent presents the receipt issued by the Cashier Division to Customs at the warehouse to take the imported vehicles from Customs custody. An individual who imports vehicles for personal use, or a commercial importer, may be considered an importer and liable for payment of taxes and duties. The Customs value of the imported vehicles shall be determined on the basis of the CIF value (Cost & Insurance & Freight). For additional information in relation to the clearance of personal vehicles, interested person may contact the Formalities Section, Privilege and Investment Promotion Sub-Division, Import Formalities Division, Bangkok Port Customs Bureau; or Privilege and Investment Promotion Sub-Division, Import Formalities Division, Bangkok International Airport Customs Bureau; and all ports of entry during office hours. SEE [ TEMPORARY IMPORTING VEHICLES ] INTO THAILAND RULES. For returning Thais wanting to bring cars into Thailand please send full details of car: year, make, model,cc rating, when purchased and specs. We can clear cars for you once we know these facts. 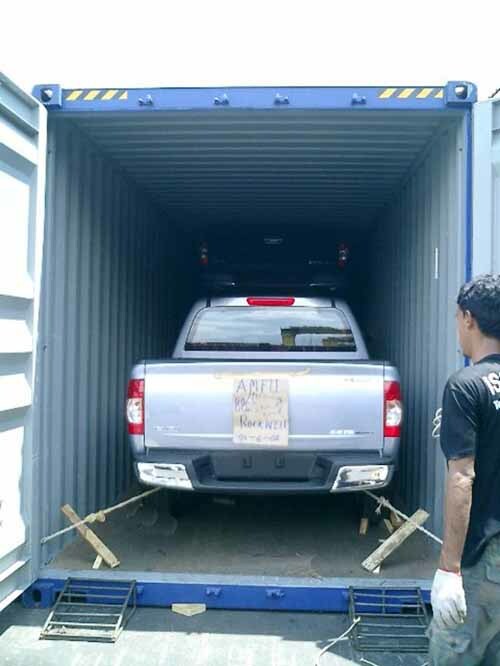 WE EXPORT ALL MOTOR VEHICLES FROM THAILAND FOR CUSTOMERS EX BANGKOK. If you wish us to buy all cars are purchased at retail Thailand costs + VAT.We specialize in shipping only. SEA FREIGHT: Shipping containers is either by 20ft FCl or 40ft FCL. See the below stats.